I'm building a world which is 50% covered by the sea. For approximately half the year, the sea covers one hemisphere; for the other half it moves to the other hemisphere, leaving the first a dry sea-bed, until the seas return again the following year. My working assumption is that the sea is dragged around the planet by the gravitational pull of its moon(s). My main question is, how big and/or close would the moon need to be to cause such a huge tidal shift, and what kind of orbit would it have? If it is not possible for a single moon to have such an effect by itself, could it be achieved if there were secondary moons and/or other gravitational forces affecting the seas, either directly or by their impact on the orbit of the primary moon? I am afraid a moon cannot achieve what you are asking. Noticeable tides require noticeable water depth, and few meters excursion on few kilometers average depth do not leave the surface dry. If a moon would be so close to pull more the water bodies, the resulting tidal forces would quickly move it far away from the planet, reducing the tides. You can achieve something similar to what you ask if your planet has its rotation axis at 90 degrees with respect to the orbital plane (so that it alternatively has over one local year 1 hemisphere fully in light and one fully in darkness). The dark hemisphere could be covered by solid water, while the bright side can have liquid water thanks to the higher temperatures. The moon causes our tides, but not in the way most people believe. My answer below is belied by the this wonderfully detailed post, which explains exactly how tital forces playout, and debunks my ancient and cherished belief in how the tides actually worked. Now from day to day, the moon doesn't move much (it takes just under 28 days for the moon to orbit the earth). So how come the Moon - which is moving very slowly on a daily basis - can cause the seas to move a massive amount twice a day? I'm useless at drawing things, but imagine the earth as a large ball (soccer ball), and the moon as a ping pong ball. Hold the "moon" out away from the "earth", now keep the moon in position but slowly rotate the earth around it's axis (simulating the rotation that gives us our day). The moon isn't moving, the moons gravity pulls the sea towards it causing a "tidal bulge", there is a corresponding bulge on the other side opposite the moon, and no bulge to the left and right. As the earth rotates, the moon stays where it is (for the purposes of illustration ignore the small amount it actually moves), so the bulge also stays where it is, one facing the moon and one facing away. Now imagining this bulge, rotate the earth "one day", each part of the earth will move into the bulge facing the moon, then out of it, into a non-bulge area before moving into the bulge opposite the moon (approximately 12 hours later), then as the 24th hour approaches it's moving back into the tidal bulge facing the moon. So, the tides "moving in and out" are an illusion, like "sun rise" and "sun set" the sun isn't moving, the earth is rotating and the sun appears to move. Again with the tides, the "tide" doesn't move in or out, the earth rotates under the tidal bulge, giving the appearance of the sea moving, when it's the beach moving under the sea. So "moons" aren't going to pull your oceans in different directions, and not for that long a time. I can't imagine how you could explain away shifting an entire ocean like this with tidal dynamics, sorry. The current discussion seems to agree that a moon could not be massive enough or close enough to a planet to cause the tidal forces you require. However, what if instead we make your planet of interest the moon and place it into close orbit around a large gas giant. This could give us the large tides you need to drain a shallow sea. There are a few challenges though. Presumably we want normal length days, and a much longer year period over which the tides change. If our moon orbits the gas giant quickly and closely say, once every ~24 hours, then we can have a fairly normal day night cycle. Now, if our moon is very nearly tidally locked to the gas giant but not quite fully locked then the tides could change only over the course of many days. To put this another way, if you imagine that for every orbit the moon makes around the gas giant it spins 1.01 full rotations then the side of the planet facing the gas giant will gradually change over the course of 100 days. Because there are two tidal bulges, one facing towards the gas giant and one away, the seas will ebb and flow twice a year. You can tune the spin-orbit ratio to whatever you would like to produce years of the desired length. So we have normal day night cycles and large tides that change over a much longer time scale. The only question left is whether this system is feasible and stable. If we put our moon into a retrograde orbit instead of a prograde orbit, meaning it orbits in the opposite direction of the gas giant’s spin, then it might explain many of these characteristics. Satellites in retrograde orbits experience tidal deceleration which will cause our moon’s orbit to gradually slow and decay bringing it close to the gas giant. Tidal deceleration will also decrease the speed of rotation of our moon which will explain why it is very nearly tidally locked. Now, one issue with this system is that it isn’t very stable. Within a relatively short time period (cosmically that is, we are still talking thousands to millions of years) the moon will become tidally locked to the gas giant and the tides will stop moving. Additionally due to the continued decay of its orbit it will pass close enough to the gas giant that its atmosphere and oceans will be stripped off before it eventually disintegrates and rains down upon the gas giant. But you’ve still probably got a few million years to work with. Potentially you could work these features into your story, such as that the years have been growing steadily longer. Sadly I agree with the other views expressed here. Moons would not be capable of doing that, at least not in the way that I believe you intend. If a moon had sufficient mass to have sufficient gravitational pull to shift an entire earth like ocean of water to the other side of a planet then the moon would be too close to the planet and would be disrupted by tidal forces. 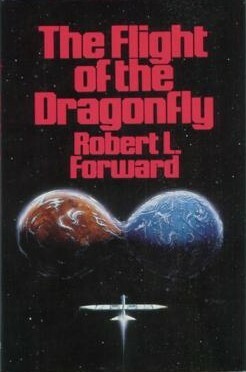 Additionally if it were to take an entire year to orbit the planet it would be too distant to excerpt such a force. An alternative would be water on a planet orbiting relatively close to a star, as this is just a bigger version of the planet moon example. It would also make sense for the planet to be rotating very slowly as it might be suffering from tidal drag and be approaching tidal locking, but even then an earth sized ocean would I think be stretching credulity. Unfortunately close proximity of a planet to a star tends to suggest a lot of heat which would not be good for an ocean. I'm not sure how feasible it really is, but you could take inspiration from Rocheworld, a book series and the titular planetary system. Because of this, one of the planets is perpetually covered by an ocean, but at certain points in the planet's revolution the sea is flung to the other side. This is a fairly violent event, causing the creatures who live there to take cover or ride out the massive wave on the top. However, the other planet is a barren and desolate desert, which seems to be what you want. I think the planet orbital period can be set by you, so you can either have a constantly shifting sea (every month or couple months), a regularly shifting ocean (every couple years), or once in a century or generation. Gravitational forces that would be that strong wouldn't just move the water, they'd rip apart the planet immediately. If your sea were only a few meters deep you could think of strong global wind systems which move the water around, but actual deep oceans like on Earth can't be moved around like that in a realistic manner. As L.Dutch says you could use water that turns to ice, or alternatively have all water evaporate on the hot side of the planet and rain down on the cold side. Put a lunar sized mass just outside of syncronous orbit -- about 40,000 km. This is about 1/7 of the distance it its now. Tidal forces go up with the inverse cube, so it would make for tides that are 350 times as strong. That would make for something between 600 m and a kilometer high tide. This would also flex the crust of the planet. So you need a stiffer crust. It's an old planet, or it formed with less radioacatives to keep the core hot. so plate tektonics are really thick plates. Old planet, less orogeny (mountain building) more erosion. Now your planet is low enough that the tides can sweep over everything. You can adjust the period to anything you want: A perfect synchronous orbit gives you a standing tidal bulge on both sides. 1% slower or faster gives you 2 tides per 100 days. Note: I think it would more interesting if the tides didn't cover everything. Think of the currents of a 600 meter bulge of water swirling around the Appalachians, or surging through the lowlands of Europe. Note also: With a yearly cycle, would the ocean beds had time to dry? The oceans beds will be a bunch of lakes, and swamps. Note: Google Washington Channeled Scablands for the effects of really really big floods. Yes, depending on their size, and that of your planet. Because, the moon exerts gravitation pulls on each other they may cause a cataclysmic collision with each other however. This could make for a cool escape plot though.As for the sea moving, yes, if erosion from millennia of this happening has made certain areas of the land eroded and set to fill at certain times of the year, when the moons are in certain positions. Therefore pulling the water with them. Your idea is impossible. The bulge facing and opposing the moon while the earth rotates under the bulge is a good description. The bulge is about 0.2m. Which leads to the obvious question: How can you have tides of 8 to 20m with a bulge of only 0.2m? The answer is the bulge appears as a surge of water with momentum. When the surge hits shallow water it slows and grow in height and it fills the tidal basin unevenly as a result of fluid dynamics over the ocean floor topography. You can't just slow your rotation down to 1 year BTW because then the surge would have less momentum and less filling power. You can drain follow by flood with a tsunami but you cannot upset the natural level of the sea long term. You can only give it a push and let things happen. Watch the film Interstellar where they had a world completely covered in water with a planet rotating, never breaking 300m tsunami pulled by a black hole. Not the answer you're looking for? Browse other questions tagged planets moons gravity orbital-mechanics tides or ask your own question.